No matter how much we sleep as if the universe were a mistake, the climate in Barcelona during the summer bears no resemblance to Iceland. It’s near impossible to find a place to be alone. And silence is a luxury. But in the exhibition Roni Horn has brought to the Fundació Joan Miró, it is possible to isolate yourself and believe for a moment that you’re in an almost motionless, unsettling universe sewn up with literary fragments that dance to the impatient rhythm of glaciers. 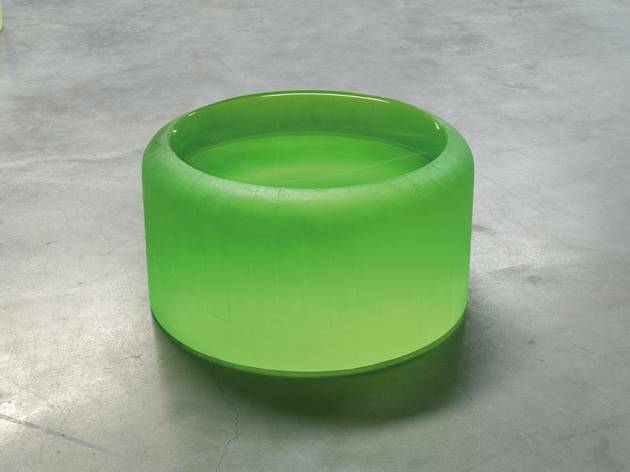 Roni Horn (New York, 1955) is unclassifiable. So much so that she plays with indefinition. Her name, her appearance... She has said, ‘It seems to me, retrospectively, that my entire identity formed around [growing up androgynous], around not being this or that: a man or a woman. I don't fit in with these kinds of singular identities.’ She also doesn’t have a favourite style or technique. She starts her work with process drawings – which deserve two rooms on their own – and these could end up taking shape as photographs, objects, installations or other forms. It can be said that her work deals with themes such as identity, landscape, light, words, faces, glass, water and weather. And most have been conceived in Iceland. The titles act as an introduction. Some are so long that including them in a review practically fills up the word count, such as ‘Untitled (My name is Mary Katherine ...)’, which is the centrepiece of this exhibition. 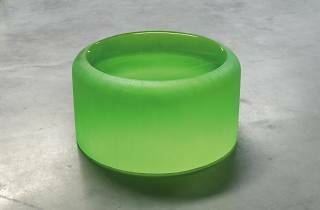 The work is made of ten cylindrical elements of greenish glass that change visually with variations in light and weather, and provide a sensory experience of colour, strength and fluidity. This is the first time that Roni Horn has shown her work in Barcelona. The Fundació Joan Miró and Obra Social "la Caixa" awarded Horn with the 2013 Joan Miró Prize, which consists of €70,000 and an invitation to exhibit the following year. Horn does not create works with a particular space or exhibition in mind – sometimes she finishes a piece and it spends a decade sitting in storage. But the set of works chosen for this occasion make up an enormous installation that has the value of a multifaceted work. While viewing the exhibition, built to the millimetre for Horn, who has dispensed with curators, you’ll find iconic works such as ‘You are the Weather. Part 2’, made of 100 portraits of the same woman bathing in hot springs in Iceland. The woman’s face in each image varies subtly, reflecting the weather conditions surrounding her. It would seem that Roni Horn’s universe is something of a mistake. But an exquisite one.